Identification: No tails. 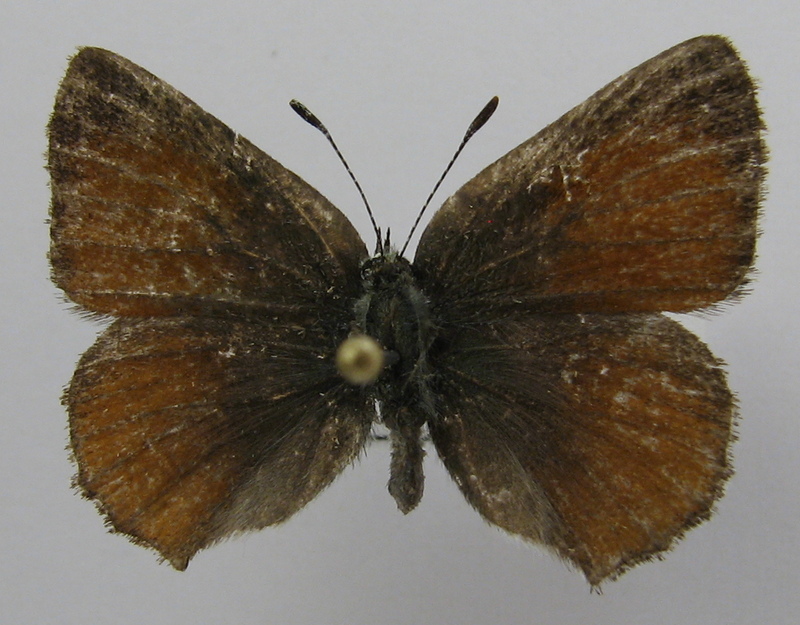 Upperside of male gray; female yellowish at least in center of both wings. 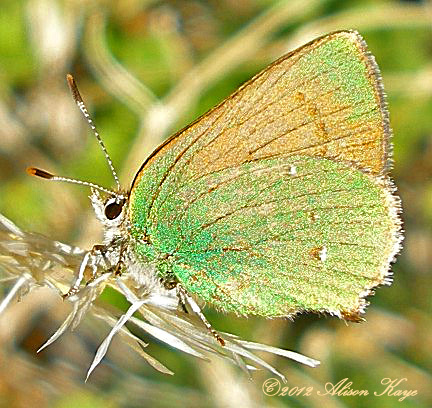 Underside of forewing gray with extensive blue-green. 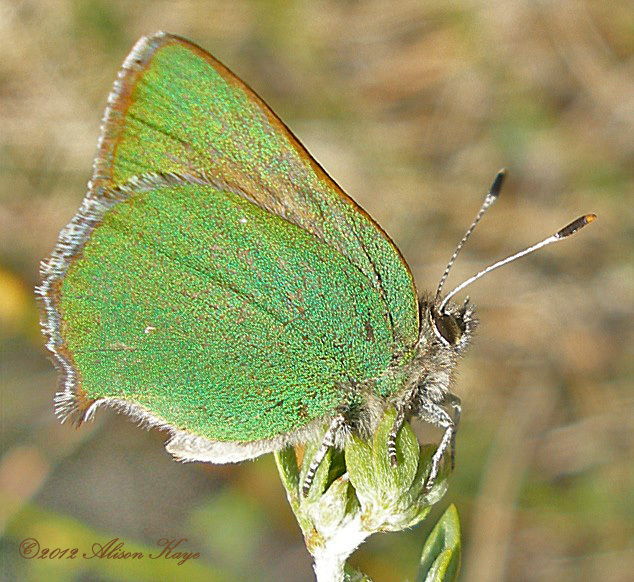 Underside of hindwing blue-green with complete or much reduced postmedian line of white spots capped with black. Life History: Males perch near host plants all day to watch for females. Eggs are laid under leaves and on flower buds. 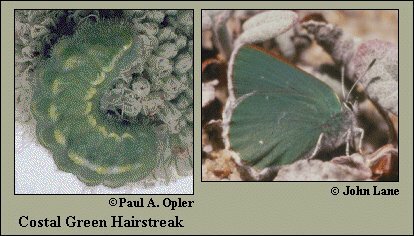 Caterpillars eat leaves, flowers, and young fruits. Chrysalids hibernate in debris under the host plant. Flight: One flight from March-May. Caterpillar Hosts: Eriogonum latifolium and occasionally deerweed (Lotus scoparius) and others. 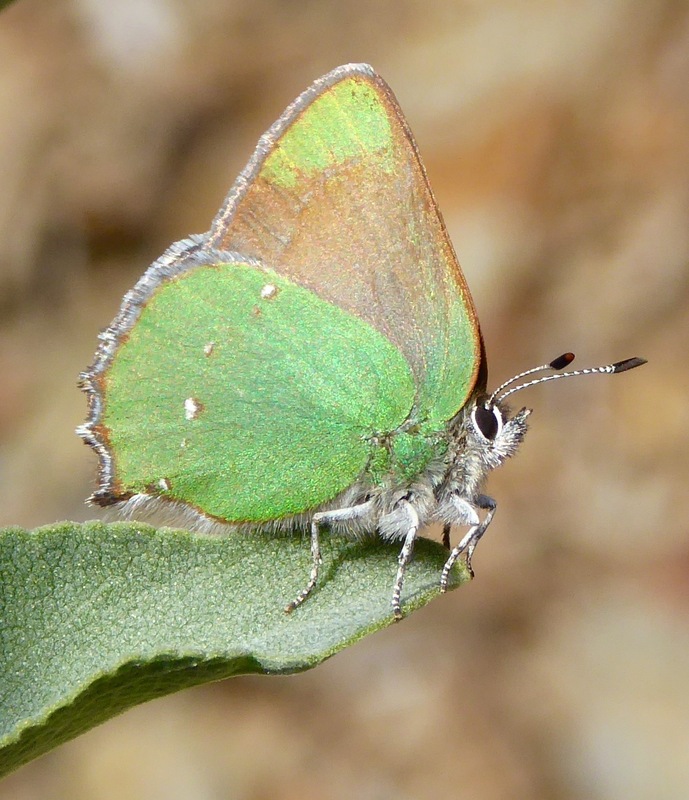 Habitat: Coastal hills and dunes, rarely chaparral. Range: Coastal California, rarely inland sites. Conservation: Although not listed, the total range is small and all population sites should be protected. Management Needs: All populations should be protected and managed if necessary.